With the rapid growth of automobiles in China, urban traffic congestion has become the most headache problem for citizens. 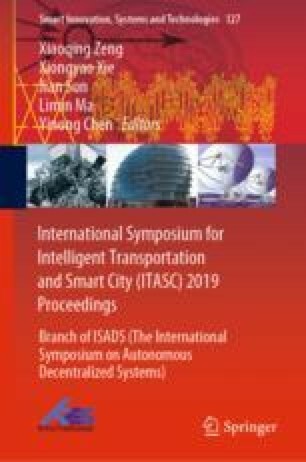 In this paper, based on the SCATS of Shanghai urban traffic control, the traffic of oversaturated intersection is modeled and the optimization algorithm of intersection signal system is studied. The problem of traffic congestion can be alleviated by reducing the delay time and increasing the travel speed of vehicles at oversaturated intersections. The project is supported by Key Project of Special Development Fund for Zhangjiang National Independent Innovation Demonstration Zone in Shanghai (Number 207105-JD-C1085-072, 201705-JD-C1085-056). This project is supported by the Shanghai Science and Technology Committee (Grant No. 17DZ1204003).